If you happen to live or work in Ann Arbor, Michigan and have noticed that there seem to be more deer around than usual, do not worry. The word has come down from the top. It's a green light on deer. But you might want to be careful. 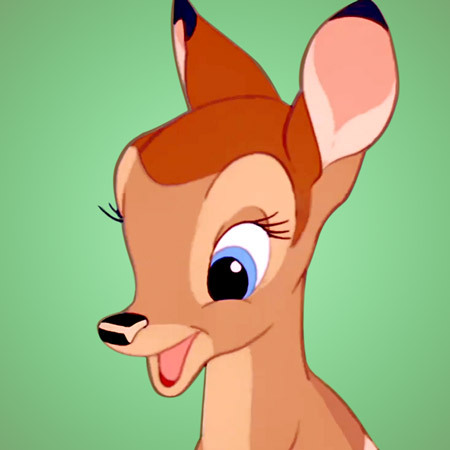 Snipers will be shooting deer not just in designated public parks but on private property, including in some people's backyards. As you might imagine this plan has engendered some pushback, not only from people who would prefer not to see "nature management" up close and personal but from those who are worried that they or theirs might catch a bullet to the head from a sniper who makes a mistake. That would be a bad thing, to go outside to look at the stars, or take out the garbage, or clean up after your dog and be shot down by someone who mistook you for a deer. None of this would be necessary if wolves were allowed to do what they do but this sort of wildlife management is the price we pay for being human and forcing so many alterations in the food chain. I say the price "we" pay but of course we won't be paying the price. It will be the deer. 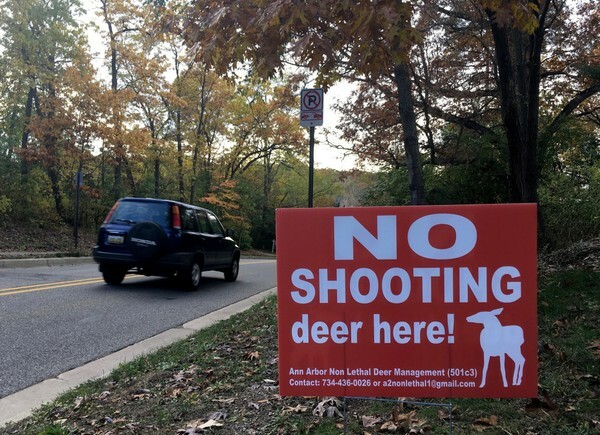 ANN ARBOR, MI - The fatal shooting of a woman who was reportedly mistaken for a deer in western New York, an incident that recently made national headlines, has some Ann Arborites fearing a similar tragedy could happen here during the city's upcoming deer cull. "Accidents happen when you shoot guns in neighborhoods after dark," said Ann Arbor resident Sabra Sanzotta, expressing concerns at a City Council meeting this week. "Some of the parks you are planning to shoot in this year have playgrounds, and certainly the neighborhoods' backyards where you're planning to shoot have children and pets," Sanzotta told council members. "So it's an accident waiting to happen." Other residents spoke out at the meeting Monday night, Dec. 4, and shared similar concerns. Some are frustrated the city won't disclose the specific neighborhoods where shooting is expected to occur on private property, leaving people unsure if shooting might happen near their homes or in areas where people walk their dogs. Ann Arbor officials are bringing sharpshooters into the city to kill up to 250 deer during the city's third-annual deer cull. The city is contracting with White Buffalo Inc., a professional wildlife company that carried out the city's last cull, which was a smaller-scale operation. The next cull is expected to last most of January, taking place in several parts of the city, including city parks and nature areas, university properties, and some private properties with owner consent. The shooting will be taking place from 3 p.m. to midnight daily. With a 450-foot safety rule no longer in effect -- in terms of the distance between shooters and occupied buildings -- some residents are concerned guns could be fired close to their homes without them even knowing, as much of it will be happening after dark and with sound-suppressed rifles. The city plans to notify immediately abutting neighbors where shooting is occurring on private properties, but the city is holding firm on its decision to not notify other neighbors that shooting will be occurring in their neighborhoods.